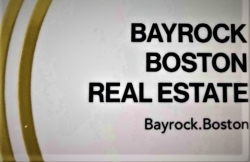 Boston, MA, March 07, 2019 --(PR.com)-- Bayrock Financial and Development Corporation (BAYROCK), a Boston-based real estate investment and development firm, is in the process of raising a new $100 million fund, according to regulatory filings. BAYROCK (no relation to the New York City based Bayrock Group LLC headed by Felix Sater and Donald Trump) has benefited from investor demand for alternative assets such as private equity and real estate, attracted by the high returns they have delivered. The goal of $100 million was listed on a regulatory filing with the Securities and Exchange Commission on March 1, 2019. "Boston's real estate market is one of the most thermogenic in the country, with most of that demand coming from renters between the ages of 24 and 35," said Gary J. Kovner, President and CEO. BAYROCK develops new or rehabilitates old residential and commercial properties for rental or for sale. Their aim is to provide out-of-the-ordinary and environmentally friendly places to live and work at reasonable prices and to give their tenants responsive and professional services. "Now that the market's so hot, we're looking to raise more funds and get more people involved," Kovner said. The firm, which has previously used internal capital, was founded in 2011 under the name Fenway Capital Partners LLC and bought distressed properties in Massachusetts and Florida. In 2017, the firm rebranded to become Bayrock Financial and Development Corporation. BAYROCK creates opportunities for people to live in affordable homes, improve their lives and strengthen their communities. The Boston region is without a doubt in the midst of one of its biggest residential building booms in living memory. Most of these proposed and under-construction residences are apartments; and most of those apartments are on the luxury end. In many other markets, apartment building is booming to try to keep up with the demand created by the under-35 crowd, but Boston's apartment pipeline is relatively unhurried compared to the vigorous condominium development. That's driving up rents of the apartments that are going up, and in turn driving young families and those 35 and older outside of the Boston and Cambridge metro areas in search of more affordable housing. BAYROCK is 100% focused on Single & Multi-tenant investment opportunities nationally. They intend to solicit high-net-worth individuals and pension funds to join their group as "Development Partners." The objective of the company is to earn an 8 to 10 percent average annual return on its investment activities. They typically make investments in the $5 million to $20 million range and are currently exploring a number of projects in Massachusetts and Florida: cities including Boston, South Boston, East Boston, Salem, Quincy, Brockton, Lynn, Malden, Revere, Saugus, Chelsea, Peabody, Lynnfield, Beverly, Cambridge and Somerville; Daytona Beach, New Smyrna Beach, and Ormond Beach, FL, areas where we have targeted to place capital. There are a number of projects under review that fit the criteria of the company, which includes meeting their goal of making money for their investors as well as fostering economic development in urban areas that may have been ignored by others.